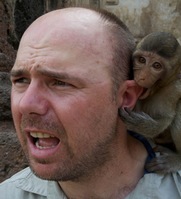 Karl Pilkington. Ricky Gervais. Stephen Merchant. Desert. Made for TV. Jungle. Comedy. Road Movie.